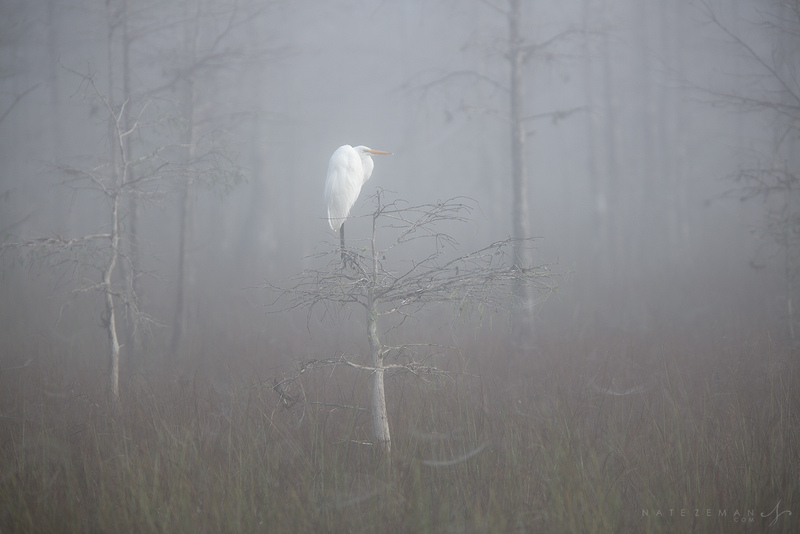 More than 700,000 acres of swamp bordering the Everglades are protected by the Big Cypress Preserve. This amazing ecosystem hosts an incredible variety of flora and fauna including alligators, snakes, a vast array of bird life, and the elusive florida panther. 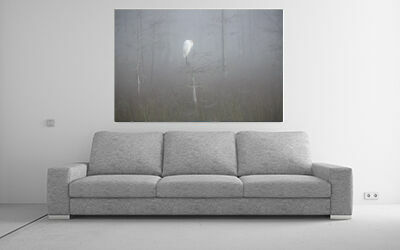 Here, on a foggy morning deep in the swamp a great egret perches atop a dwarf cypress tree.